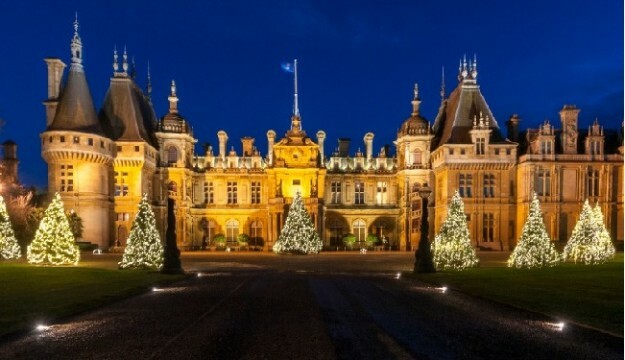 Waddesdon Manor triumphed at the Group Leisure & Travel Awards, after being voted Best Christmas Experience. Visitors can celebrate Winter Light at Waddesdon with a light installation in the gardens and an imaginative light display on the façade of the house. The usual highlights can also be expected, included seasonally decorated rooms and grounds, a Christmas market and interesting eats. Waddesdon’s win was revealed at a glittering dinner and red carpet ceremony at the Hilton Birmingham Metropole Hotel on Wednesday 11th October. The French Renaissance style chateau beat some leading seasonal competitors including Chatsworth and Christmas at Kew to claim the title. Co-presented by magician Ben Hanlin, best known for his ITV2 show Tricked, alongside Group Leisure & Travel Magazine publisher Rob Yandell, the awards recognised the best destinations, attractions, and providers in the group travel industry, as voted for by active travel organisers from sports and social clubs, retired associations, special interest societies and other groups.